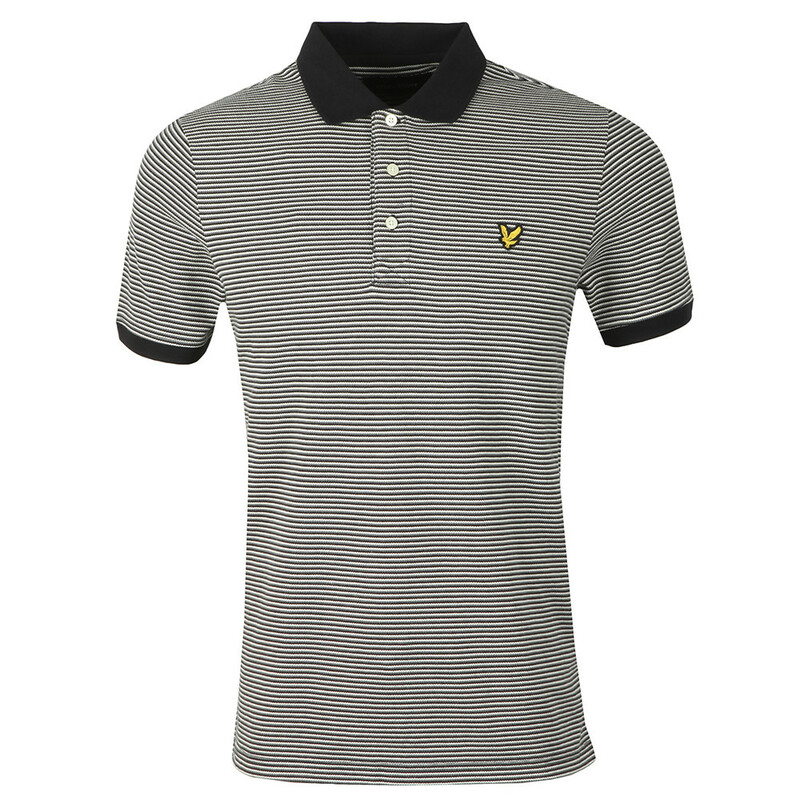 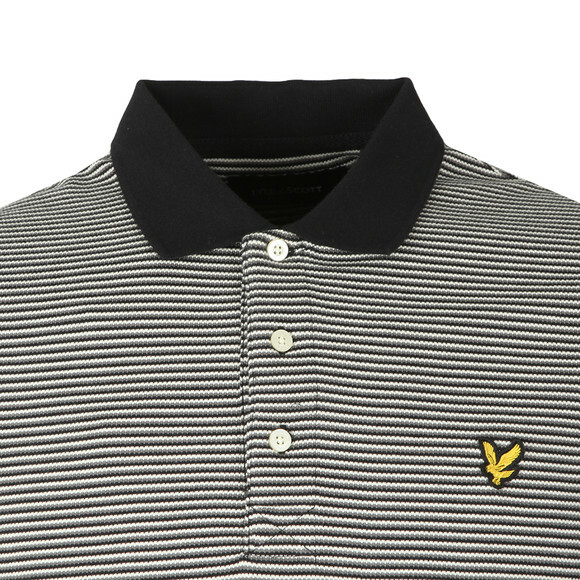 Lyle & Scott Feeder Stripe Polo Shirt in True Black. 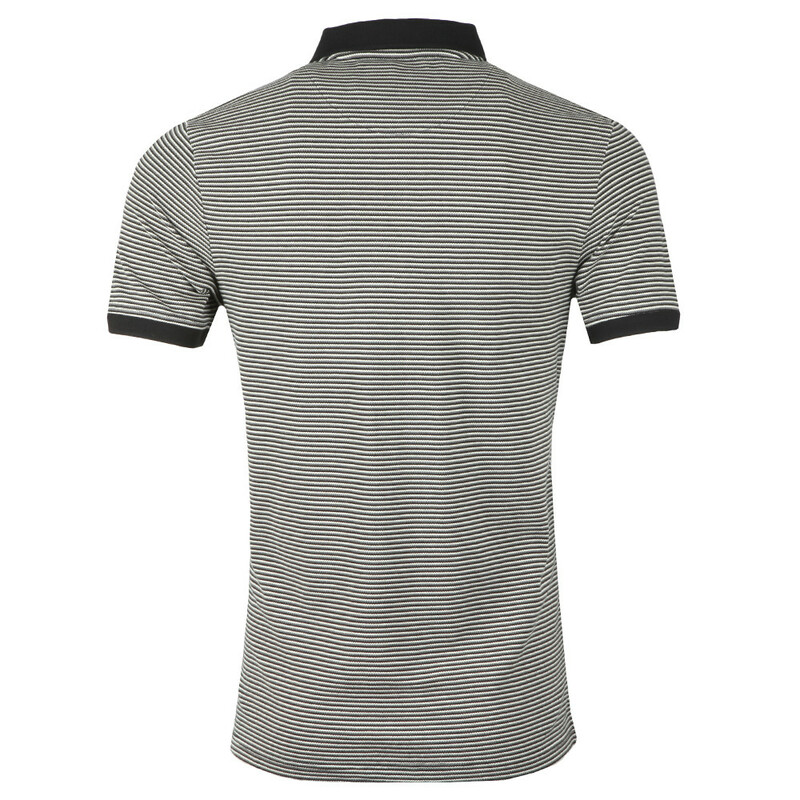 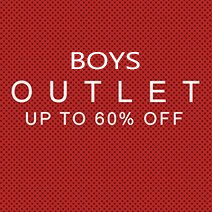 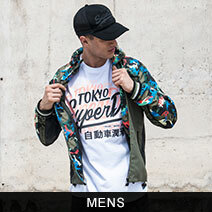 Designed with a wavy stripe in a monochrome colourway. 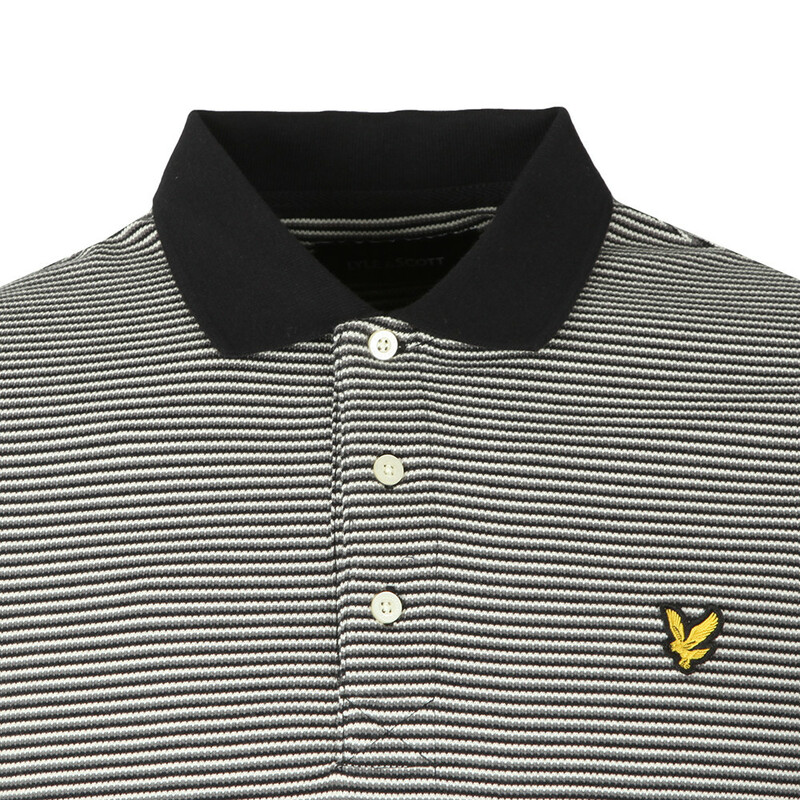 Given a three button neck placket and an embroidered golden eagle logo.